The 2017 Men’s ODI Team of the Year has been revealed. The Australian opener was at his most belligerent, smashing seven centuries in the qualification period, with a strike rate of 108. Of all openers to face 500 balls in 2017, Warner had the highest strike rate. 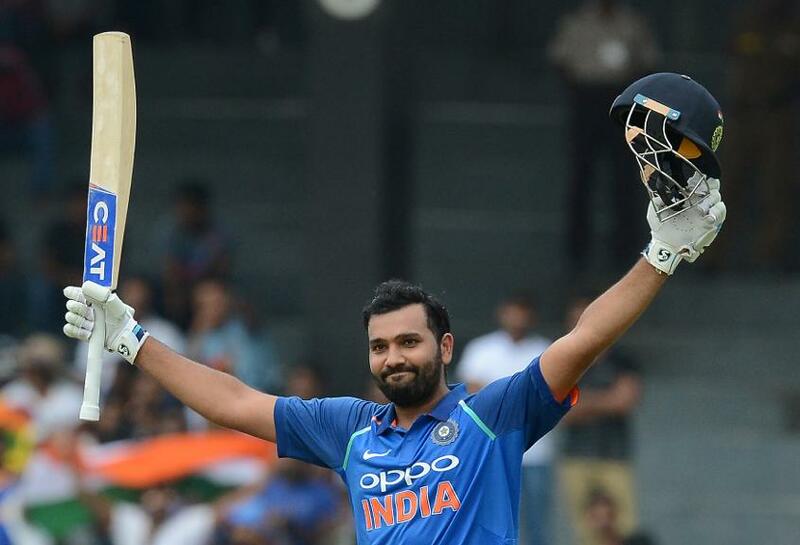 Last December, the Indian opener became the first batsman in the history of ODI cricket to score three double-centuries, capping another exceptional period of run-scoring. In 2017 he hit 51 sixes, the most by any player. The king of white-ball batting, crowned as the ODI Cricketer of the Year in the 2017 ICC Awards, India’s captain scored 1,460 runs in 2017 – the fourth-highest by any batsman in a calendar year. The stylish right-hander continued his remarkable start to his ODI career, including a run of three centuries in as many innings against West Indies in late 2016. He scored 26 per cent of Pakistan’s runs in 2017, the highest proportion of any player to his country’s overall tally. The two-time winner of the ICC’s ODI Cricketer of the Year award slots in at No.5 after another impressive period of run-making. His career-best innings of 176 against Bangladesh last October, scored off just 104 deliveries, included 72 per cent attacking shots – the most of any century scored in 2017. The South African keeper-batsman has relinquished his ODI Cricketer of the Year award to Virat Kohli, but he retains his place in the ODI Team of the Year. De Kock hit 956 runs in 2017, the most he has scored in a calendar year. Among the world’s all-rounders no player managed to score more runs and take more wickets than Stokes in the qualification period. His three centuries included a career-high 102 not out against Australia in the 2017 ICC Champions Trophy. The Kiwi left-armer was at his penetrative best and was particularly potent in the Powerplay, where he took 16 wickets in 2017 – the most of any bowler. His figures of 7/34 against West Indies at Christchurch last December represented a career-best. The Pakistan paceman burst onto the scene at the 2017 ICC Champions Trophy, walking away with the Player of the Series award as his country won the tournament. No bowler took more wickets in the middle overs (overs 11-40) in 2017 than Hasan’s 30 and he was rewarded for his exceptional performances with the ICC’s Emerging Cricketr of the Year award. Afghanistan’s teenage leg-spinner looked borderline unplayable at times, picking up 50 wickets at an extraordinary average to be the runaway winner of the ICC’s Associate Cricketer of the Year award. His figures of 7/18 against West Indies last June were the fourth-best in the history of ODI cricket. The right-arm Indian paceman has been a revelation since making his ODI debut in 2016 and he has quickly become his country’s go-to bowler at the death. He took 27 wickets in overs 41-50 in 2017, the most of any bowler. He also brought about 331 false shots across the year, again the most of any bowler. Bumrah claimed his maiden ODI five-wicket haul against Sri Lanka last August, taking 5/27 in a six-wicket victory.